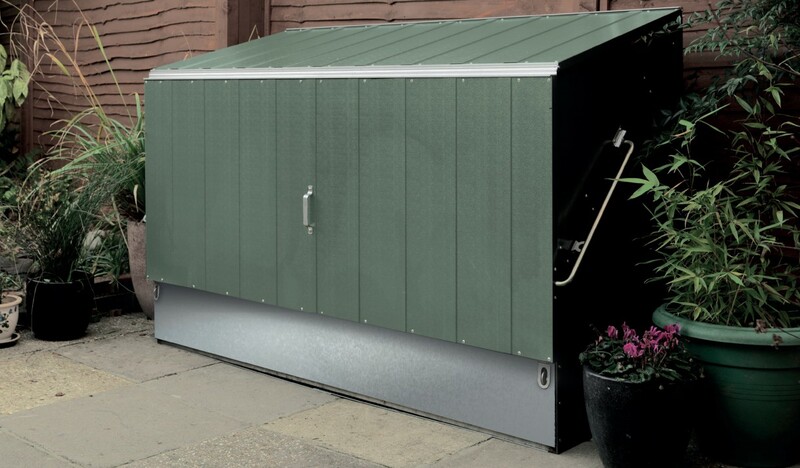 We now offer both our Bicycle Store and Protect-a-cycle with the option of a hinged front ramp. 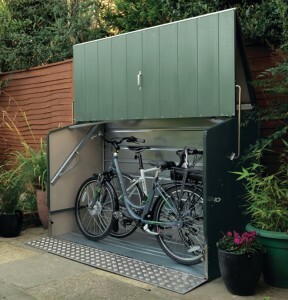 This allows easier access to cycles and is especially useful when storing electric bikes which are considerably heavier than standard versions. 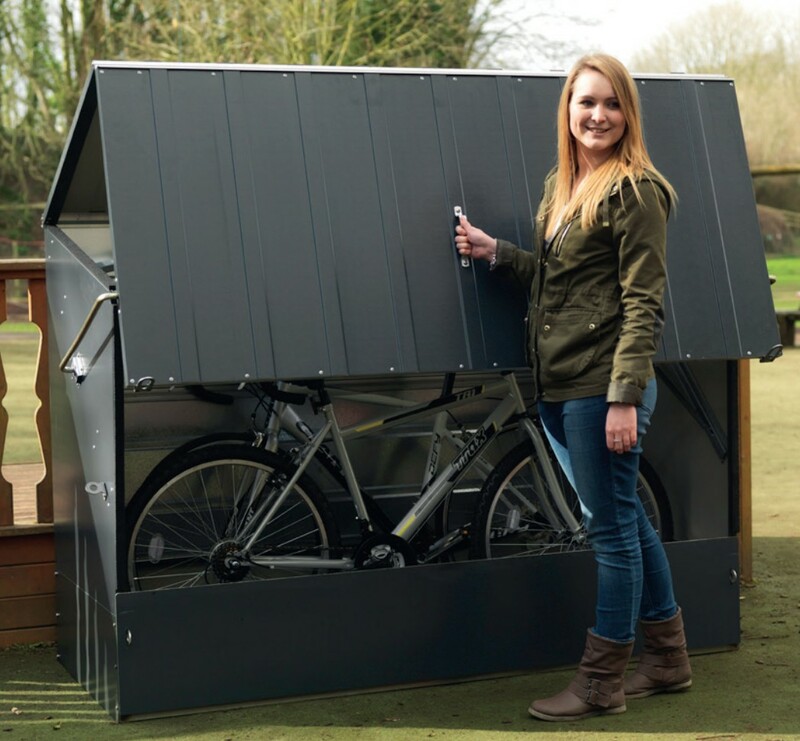 With the increasing popularity of electric bicycles, which can be heavy to store, we offer the option of a convenient hinged front ramp. This clever patented design simply drops down when access to cycles is needed and then folds back into position to form the lower base. A high quality one piece aluminium plate is used for the ramp which ensures both high strength and easy operation. 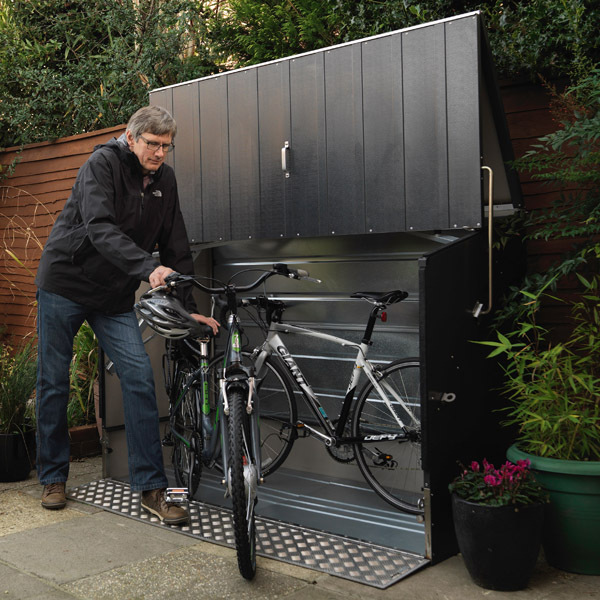 Reinforced metal hinges are incorporated along the length of the ramp which is designed to support the weight of a cyclist and their cycle.The ramp does not reduce the interior space of the product and depending on cycle design can still store up to three adult bikes. 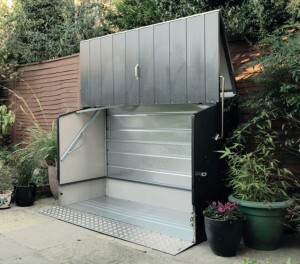 For additional security, when the ramp is in its upright position it locates behind the front door so cannot be accessed without opening the unit first. In addition, the ramp can be padlocked to the door through the integrated stainless steel hasps. The ramp option can be used with any colour of bicycle store or the high security Protect-a-cycle version.